US operator patents event photography! In theory the US Patent and Trademark Office (USPTO) is suppose to ‘promote the progress of science and the useful arts’ by protecting original ideas, but it also allows some to use the patent system to eliminate potential competition. Peter Wolf is the owner of PhotoCrazy, an online business that hosts event photographs for ‘inspection, selection and distribution’. Since Wolf had patent 6,985,875 approved, he also routinely sues any other competing event/sport photography businesses that intend to distribute their photos online. Over a dozen small businesses have already fallen victim to Peter Wolf’s legal extortion – the latest victim being Capstone Photography, an event photography business from Connecticut, . 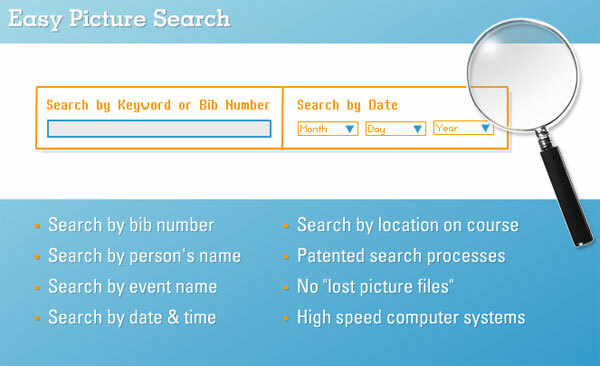 While Wolf has many other patents secured and others pending, patent 6,985,875 basically states that in 1999 he invented the process where photos are taken of entrants at a sports event; the photos are then tagged and sorted by time/dates/bib numbers/race numbers online; entrants then search an archive for the photos based on these details and can purchase prints online. A rather common business model, donchathink? Capstone was sued on New Years Eve 2013 by Wolf for allegedly using this same method without forking over thousands of dollars in licensing fees to PhotoCrazy. ‘Here we are just trying to make a living, trying to do our own thing and an outside entity with deep financial pockets and high powered attorneys is now on the other side, so we have to figure out how to survive that,’ Michael Skelps, owner of Capstone, told Fox News. He added that the patents are deliberately abstract, and Wolf was unlikely to have been the original inventor of the process. The PhotoCrazy website is indeed a little crazy – the pages are incredibly outdated and plain, the word ‘patent’ can be found five times in the ‘About Us’ section alone; and is threateningly splashed above the website banner with links to each detailed patent. One might conclude that the patents act as the backbone for his business, and business is so good that he doesn’t need to market himself with an attractive, friendly website. Capstone unsuccessfully attempted to crowdfund a court case challenging PhotoCrazy to end his ‘patent trolling’, and it appears the business, like many others, will settle and pay up. These patents don’t appear to be registered with IP Australia, which administers patents nationally, allowing local event photographers to distribute photos online however they please – for now. This entry was posted in News, Top story and tagged capstone photography, michael skelps, patent, peter wolf, photocrazy, uspto by Keith Shipton. Bookmark the permalink.